Air & Space Series Returns! 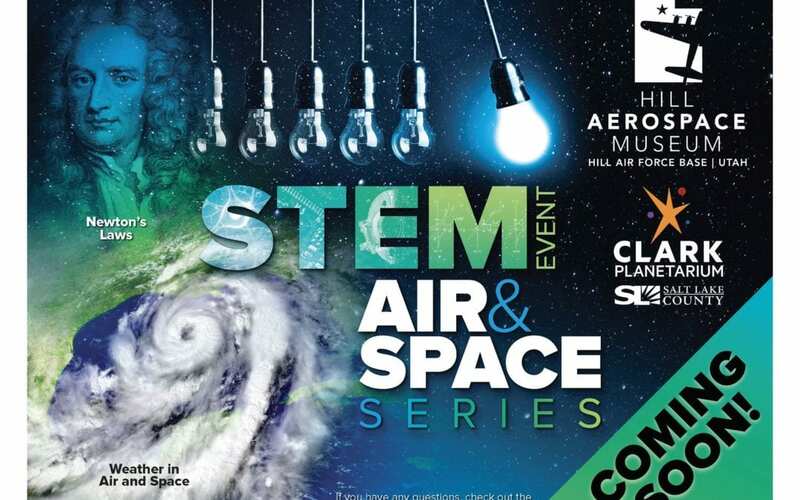 Starting in April 2019, Clark Planetarium and Hill Aerospace Museum will kick off the second session of the Air & Space Series! Classes on Chemistry will be on April 27, 2019 and Newton’s Laws May 25, 2019 from 1:00pm – 2:30pm at the Hill Aerospace Museum. The Air & Space Series will be open to kids 8 and up, and adults are welcome to attend as well. Each class lasts around 40 minutes, including an engaging lesson and exciting demonstrations to help expand your understanding of Chemistry and Newton’s Laws. On June 22, 2019 Science in Space will be held at Clark Planetarium from 1:00pm to 2:30pm. Everyone is welcome to come learn about how space changes the way science works. For more information on events at the Hill Aerospace Museum, click HERE.